Cynthia Garner joins us to speak about the new organization, Mindfulness Ambassadors International. For those who have been interested in deepening their mindfulness practice in a secular setting, the choices have been fairly slim: either pursue teaching, or attend the occasional retreat. But more and more options are becoming available for those interested in continuing to grow their practice without having to become teachers, and a new organization is a way to connect with others. Cynthia Garner is a qualified Mindfulness-Based Stress Reduction Teacher, and is participating in the year-long Mindful Teacher training through Mindful Schools. 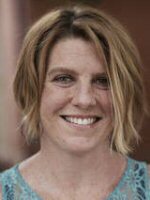 She is a Licensed Massage Therapist and Registered Psychotherapist in the state of Colorado, studying mindfulness-based somatic psychotherapy and completing coursework her Master’s in Counseling Psychology and for the depth certificate at Regis University. She is currently in private practice as a registered psychotherapist, body-based and massage therapist, and mindfulness coach. She also holds a Master of Fine Arts in Writing Narrative Nonfiction from Goucher University. 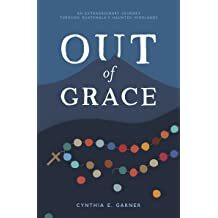 As a Fulbright Scholar, Cynthia conducted anthropological field work in Guatemala, and published a memoir of her experience titled Out of Grace, an experience that ultimately led her to her mindfulness practice.